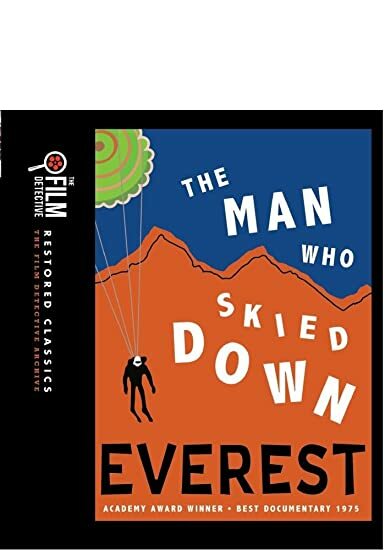 The Man Who Skied Down Everest - BUY THIS DVD! Winner of the Academy Award for Best Documentary in 1975, this stirring chronicle tells the tale of Japanese alpinist Yûichirô Miura and his attempt to ski down Mt. Everest in 1970. Narrator Douglas Rain reads from Miura’s actual diary giving a first-hand look of his thoughts as he ascends the mountain. The grueling expedition resulted in the deaths of several people, all so Miura could live his dream. Co-director Lawrence Schiller would go on to produce and direct some exceptional television productions, including The Executioner’s Song, and the Emmy-winning mini-series Peter the Great.